Defence Turkey: Dear Ms. Elif Gürdal, first of all we would like to thank you for your time. You have been assigned as the Country Manager of Dassault Systèmes. What type of a structure will you adopt throughout this new era that started upon your assignment? What are your comments on the existing personnel structure and responsibilities as well as the vision that you plan to set for this upcoming period? As you said I joined Dassault Systèmes last year as the Country Manager. When I joined Dassault Systèmes, with no surprise, I found a very innovative company with superior products which have been adopted by many big players in different industries both globally and locally. We have a group of very passionate engineers in our office in Turkey, whose are experts on their fields. In accordance with our ambitious growth plans in Turkey and the region, the number of people in our organisation is also growing. I am happy to lead this very talented team who are the engineers from different disciplines, who are supporting our customers on their transformation roadmap in this digital era. 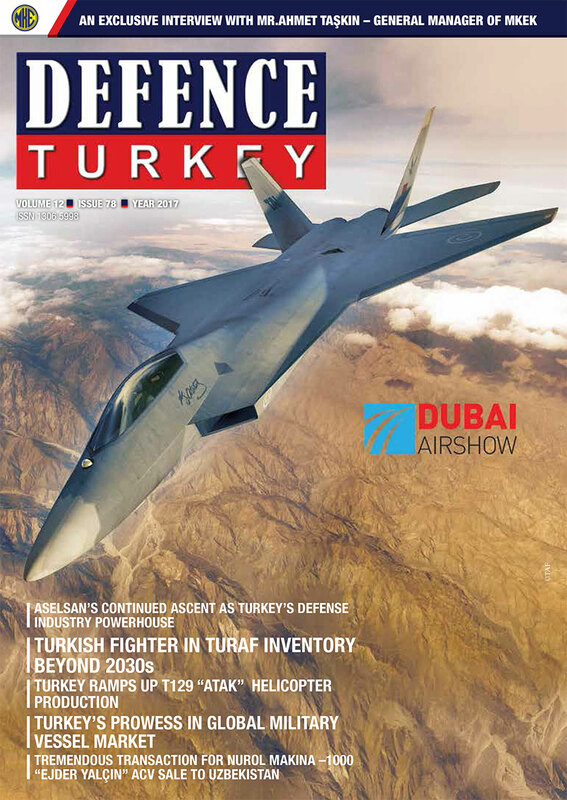 Defence Turkey: How do you assess your cooperation with the Turkish Defense and Aerospace Industry? Could you please inform us about the projects and ongoing programs carried out with Turkish companies? What are your objectives and strategies to strengthen the cooperation with the Turkish Defense Industry? Dassault Systèmes was born in the Aviation Industry more than 30 years ago. As a result, we have a deep understanding of the challenges of the Defense and Aerospace Industry. All major players in that industry are already our customers and we are proud to see that the adaptation of our 3DEXPERIENCE Platform in the industry is very significant. In Turkey, the Defense and Aerospace Industry is receiving special attention from the Government and the investors. In order to increase the size of the industry, the ecosystem needs to be elevated as a whole. It is obvious that the big National projects can be the major driver for this transformation. As Dassault Systèmes, we believe that this kind of transformation can only be possible with the use of the state of the art - innovative technologies. Thanks to our technology and investments in Turkey, we are working very closely with nearly all players and stakeholders, in order to help them achieve their business objectives. Defence Turkey: In July Boeing announced that it will expand its deployment of Dassault Systèmes’ products across its commercial aviation, space and defense programs to include the Dassault Systèmes 3DEXPERIENCE platform. Could you please enlighten us about this partnership? Dassault Systèmes and Boeing have a very long term history of partnership that has been recently extended. Boeing will expand its deployment of Dassault Systèmes’ products across its commercial aviation, space and defense programs to include the Dassault Systèmes 3DEXPERIENCE platform. This key decision follows a competitive process that included the rigorous analysis of technical and functional capabilities, cost and business benefits across the value chain. Boeing will deploy the 3DEXPERIENCE platform in phases and rely on Winning Program, Co-Design to Target, Ready for Rate, Build to Operate and License to Fly industry solution experiences for aerospace and defense to deepen its end to end digital collaboration, design, engineering, analysis, manufacturing planning and shop floor execution capabilities throughout the enterprise. Boeing not only leads the way in its own industry, but influences the progress of all industries across modern society. We think we are at the turning point of the industrial era, where we are shattering another industry paradigm. The parallel exchange of data between virtual and real operations will transform the value-adding chain into a value creation chain. The entire ‘extended’ enterprise can continuously measure and control business processes for maximum efficiency and potential top line growth. This is ‘Business in the Age of Experience”. Defence Turkey: Could you please inform us about your Smart City capabilities? At Dassault Systèmes we refer to “3DEXPERIENCECity” when it comes to smart city capabilities because our approach focuses on “the experience” as the starting point of success for every smart city. A holistic approach to cooperation in various areas relevant to urban life: transport, health, culture, education, etc. With 3DEXPERIENCity, we offer a city platform that allows users to work on innovation and manage processes. This platform gathers all the information together and makes them available for inventing, planning, designing, building, managing and optimizing the resources of the city and its processes. Dassault Systèmes chose firstly Singapore just for the ambitious 3DEXPERIENCity project. The company created in collaboration with the Singaporean government a hyper-realistic model of the city that is constantly fed with real-time data on population density, traffic, weather, energy consumption and recycling. Analyzing this dynamic digital ‘twin city replica’ helps policy makers to improve the quality of life. 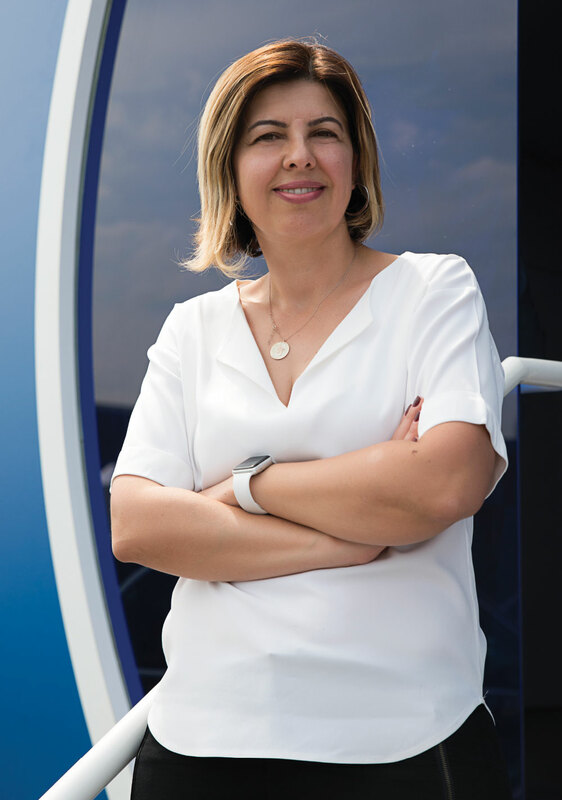 Defence Turkey: Dassault Systèmes has developed analytics and made it applicable to PLM while leveraging the richness and full potential of product design and manufacturing processes. Could you please enlighten us about your PLM solutions? 3DEXPERIENCE is the next step after Product Lifecycle Management (PLM). It is a business strategy in which companies employ 3D modeling, social collaboration, simulation, and information intelligence technologies to create delightful experiences for their ultimate clients or consumers. 3DEXPERIENCE simplifies the concept and expands the interpretation of experiences beyond engineering perspectives. 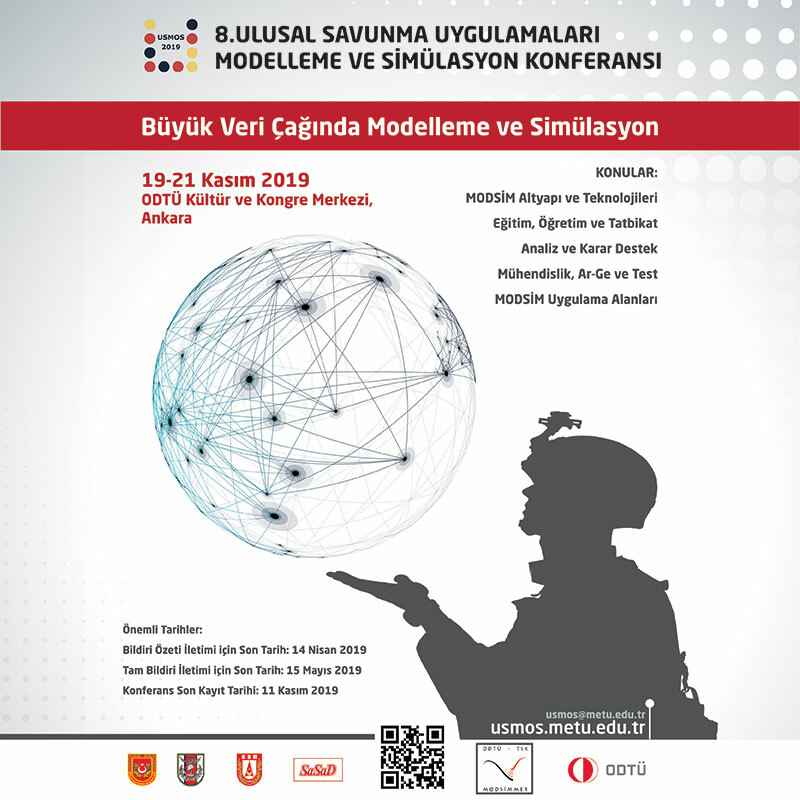 Defence Turkey: What are your capabilities on Big data, Augmented Reality and Robotic Technologies? We as Dassault Systèmes, talk about immersive virtuality (iV). iV is able to deliver value absolutely all along the product life cycle. Our 3DEXPERIENCE platform has the native capacity to display in a VR whatever assembly is currently on screen: in two clicks one can activate an HTC Vive or projection-based system. We are also delivering two solutions as a service in the sales and marketing area. In the automotive world we have Virtual Garage, where we can work for an automotive brand in delivering an immersive sales configurator. The 3DEXPERIENCE platform lets brands from several industries, differentiate themselves and reinvent the event or showroom experiences by infusing gamification, virtual reality, interaction and discovery, as well as real-time consumer tastes and preferences, into the discovery and purchase processes, even before a vehicle is physically available. Another solution that we have and which is very versatile is Homebyme. It can be used by consumers who want to buy either furniture or properties (apartments, offices, etc.). Robotics is also another interesting topic. Companies everywhere are realizing the power of automation and the value that it brings at so many levels. The latest trends in manufacturing are forcing companies to focus on technology. This focus is necessary to remain competitive: this is a global trend, so getting left behind is not an option. Today’s technologies are making manufacturing more fast paced than ever, and this is evident in the staggering wave of robotics coming on-shore. Through the 3DEXPERIENCE platform, robot programmers can simulate and validate robot tasks and they are delivered a groundbreaking user experience in robotics. Robotics capabilities in the 3DEXPERIENCE platform enable workcells to be planned with accuracy to design and optimize with greater efficiency. Programmers are able to perform reachability studies, interlock analysis and offline robot teaching to deliver optimized robotics programs to the shop floor. Robot programmers can also create, simulate and validate robots in the context of all manufacturing environments. Defence Turkey: Could you please inform us about your technologies and R&D activities? Dassault Systèmes solutions that support a global effort to significantly reduce the development cycles within Aerospace and Defense are all based on the 3DEXPERIENCE business platform. Referred to as Industry Solution Experiences (ISE), each major phase of a program is addressed including the conceptual phase, detailed design, testing and certification, manufacture, sales and operations. Each of the following ISEs delivers significant value individually, but the combined result will further accelerate industry transformation from concept to take-off. To configure the right concept for increased win rates through winning concepts and program proposals, we have created the industry solution experience “Winning Program”. Integrated design from engineering to manufacturing including systems development for prime contractors is addressed with the “Co-Design to Target” ISE. While for aerospace suppliers we have a dedicated solution “Engineered to Fly”, that supports specific value streams including machined components, composites, and systems. To accelerate testing, “Test to Perform” expands the use of virtual testing across the lifecycle to reduce the need for physical tests. “License to Fly” helps companies accelerate certification to achieve agreed-upon requirements within the 5-year (or 3-year for light aircraft) window and leverages the platform to improve trust between aviation authorities and their suppliers even when driving new innovations to the market. “Ready for Rate” for production planning helps achieve higher production rate and quality as design engineers and manufacturing planners collaborative early to prove design can be fabricated and production can be executed at expected rate using a virtual factory. “Build to Operate” for Manufacturing Operations Management (MOM) offers aerospace Original Equipment Manufacturers (OEMs) and large suppliers the ability to implement lean practices and meet demand without sacrificing either quality or schedule. With digital continuity from engineering through to production and to the shop floor, manufacturing planning and operations are no longer two separate processes. Rather, they are now one continuous improvement process for higher flexibility with quality and safety. From cabin and product configuration through to virtual cabin validation, “Passenger Experience” helps to better manage customer expectations to accelerate sales and reduce the number of engineering changes by making mass personalization profitable. Finally, the “Keep Them Flying” Industry Solution Experience allows aerospace OEMs to implement a world-class customer support offering with industry-leading on-line services and the most responsive and personalized support. Defence Turkey: Would you like to convey any message to our readers? Our vision is, as perfectly said by our CEO Bernard Charlès: “Dassault Systèmes provides business & people with 3DEXPERIENCE universes to imagine sustainable innovations capable of harmonizing product, nature and life”.